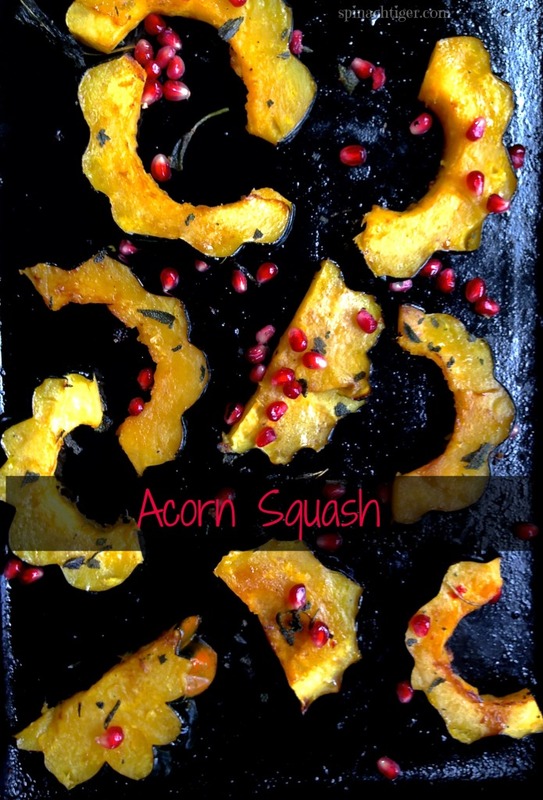 Acorn Squash Nutritious Dense, Delicious and Festive makes a great Holiday side dish. Carefully slice inch size pieces. It's easy if you cut lengthwise first and then slice each half. Mix olive oil with pepper jelly. Brush olive oil mixture over both sides of squash. Bake for 15 minutes. Turn over. Bake another 10 to 15 minutes and put the sage leaves in pan. Top with pomegranate arils and serve.